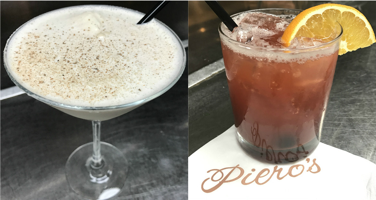 Piero’s is warming up the holidays with specialty cocktails! Meet the newest members of our Piero’s cocktail family – the Gingerbread Alexander and Campari Bliss. Each wonderful in their own way, these cocktails are a must-try. Don’t want to be adventurous and try both? Let us help you decide! 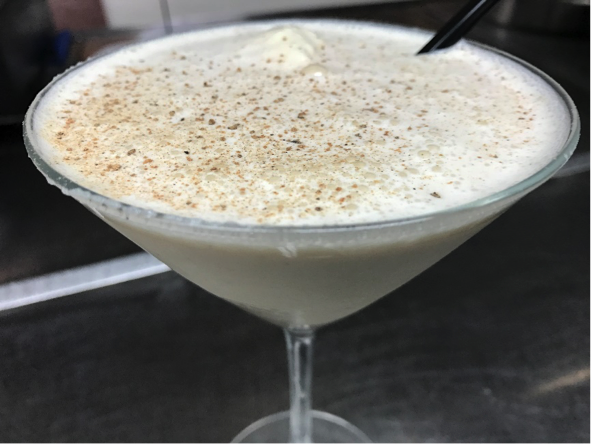 If you’re not quite in the holiday spirit yet or work is making you feel like a Grinch, our Gingerbread Alexander is the perfect concoction for you. Comprised of Gingerbread Kahlua, Brandy, Crème de Cocoa, Cream, Vanilla Ice Cream and Nutmeg, this cocktail is sure to make you merry. Or maybe you’re in the holiday spirit but having a hard time accepting that 2016 is almost over. In that case, say hello to our Campari Bliss. Though light and refreshing, this cocktail gives a nice punch that will wake you up to reality.